A brilliant business idea can come out of anywhere. But it takes a certain amount of genius to know just where to look. It could be a solution to an everyday common problem, a gap in an existing market, or expertise or skill set that you possess and would like to cash in on. Several of the startups incubated at CIE found their Why in a similar fashion before embarking on their entrepreneurial journey. There is an increasing trend of startups by millennials not just globally but in India as well. 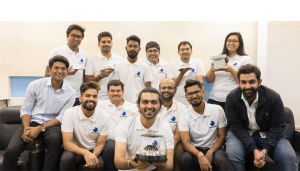 On the occasion of the 20th anniversary of IIIT-H and CIE’s 10th, we take a look at a few curated startups, whose 23- and 24-year-old founders began their education in the IIIT-H classroom but are continuing it in their board rooms. DreamVu Standing testimony to CIE’s mandate of taking research from the lab to land is this student duo – Rajat Aggarwal and Rohan Bhatial. A Master’s degree sits inches away from completion while they manage a 25-member team across two physical locations in Hyderabad and the Silicon Valley. What was initially Rajat’s area of research while pursuing his honours B.Tech programme at IIIT-H in 2015 under Prof. Anoop Namboodiri led to a viable business idea: the creation and manufacture of a “unique, low-cost, consumer-friendly” omni-directional camera platform. A self-confessed “researcher first entrepreneur next”, Rajat found a suitable ally in his friend Rohan who had been dabbling in startups from the 2nd year itself. At the time, since Rohan’s research interest involved understanding behaviour of drivers in the night based on movement of eyes and more, he was looking at markets for driverless cars. He found a strong business case for the camera in these markets. 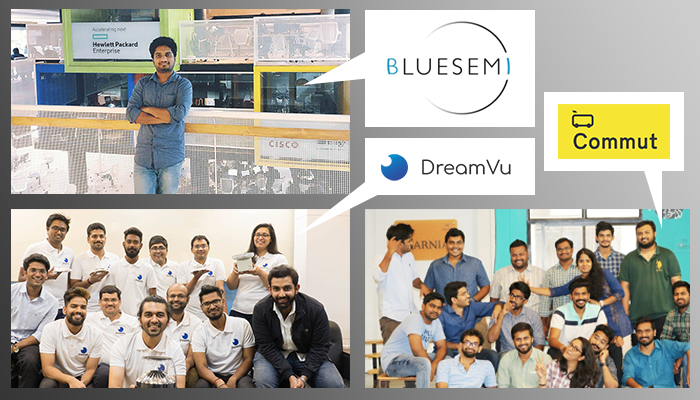 And thus DreamVu was formally founded by them along with Prof. Namboodiri in 2016. What is it? A sophisticated camera whose optics are based on designs inspired by human binocular vision and perception. With it’s 360 degree panaromic capturing of views, it does away with the need to capture multiple views and stitch them together.This smart omni-directional stereo camera has great potential and applications in autonomous vehicles, drones, robotics, AR/VR cameras and smart invasive systems. Not only is the process of data capturing by the omni stereo camera simple, but it also lightens the load on computation during processing by significant margins. Another plus over the current technology is that it is adaptable and scalable. Rajat’s vision is to “see our cameras in a VR director’s hands by this year, in autonomous cars next year”. Commut A daily work commute that was not only expensive and time-consuming but irksome as well, gave Hemanth Jonnalgadda much food for thought in 2015. 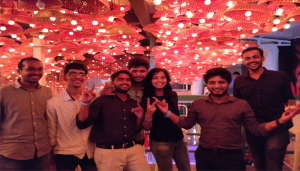 Turning around this real-life pain point into an opportunity, Hemanth along with his other IIIT-H friends, Sandeep Kachavarapu, Prashanth Garapati, Akshay Chennupati, Charan Thota, and Srujai Varikuti, came up with an “on demand (mini) bus service” app. By creating a ‘community of commuters’, the founders aim to make travelling to work a safe, easy and fun experience. Commut was selected in 2017 by Europe-based MAN trucks and buses among 7 other logistic startups the world-over for their accelerator program. The team attributes their entrepreneurial leanings to courses offered at IIIT-H such as Technology Entrepreneurship. Interestingly enough, all of them were part of the Felicity organizing team in their final year. And the experience taught them to capitalize on their personal strengths which is why after starting up too, they chose roles mirroring those during Felicity. What is it? A subscription-based shuttle service specifically targeting office-goers. Think of it as an Uber or Ola. But minus the surge pricing. And a smaller carbon footprint. Operating a fleet of 12, 18, 20 and even 40-seater buses, Commut services popular areas from Kukatpally and Uppal to LB Nagar, Secunderabad and more: all ferrying professionals to the popular IT hub of the city. Over 60% of their subscriptions come from women. And it’s heartening that 30% of these subscribers used to either drive or book a cab previously. Definitely good news for the green team. In fact acknowledging this large customer base, they have come up with live-tracking and an in-app panic button, that is linked to Hawkeye, the mobile app launched by Telangana Police for ‘citizen police’. From the B2C model, they are gradually expanding into the B2B space. “The way forward is to make the user experience more and more customer-centric. And we are doing this by constantly iterating our product. 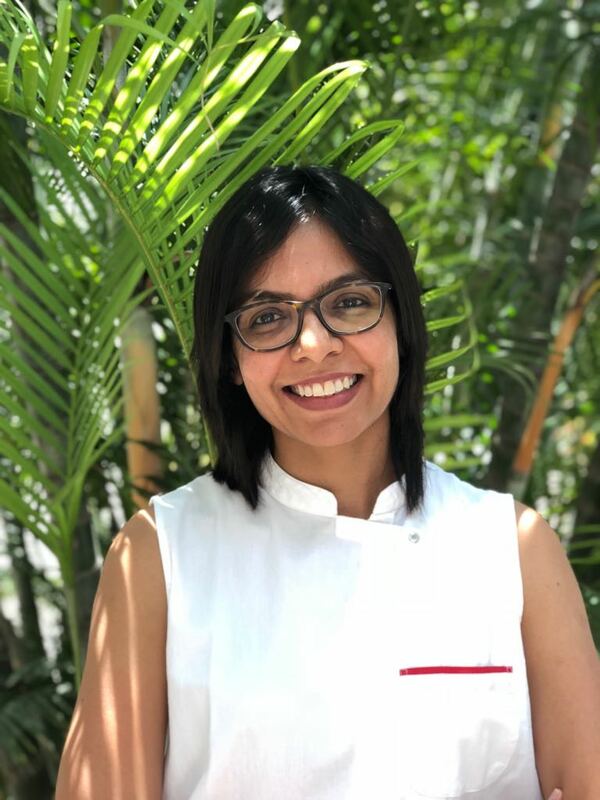 Currently we are working on integrating our technology with a safety index based on population density, a feature that will automatically calibrate the drop-off points, “ says Anusha Kovvuri, Head of PR and Communications for Commut. BlueSemi R&D For someone whose “passion is analog design in VLSI”, Sunil Maddikatla has certainly got it right. From a problem statement in his area of research that struck a chord, to the vision and encouragement demonstrated by his advisor, to the entire startup eco-system that CIE provides access to, Sunil acknowledges that coming to IIIT-H was the best thing that happened to him. 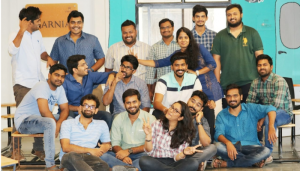 “I always dreamt of starting something on my own but didn’t have access to the right resources or a supportive eco-system.” Steered in the right direction by CIE’s mentorship, coupled with seed funding from a few angel investors and product validation from a couple of clients, this start-up just recently celebrated it’s first anniversary. What is it? With cutting edge technology for the times we live in, this R&D company is building integrated chips with all-time lows – low cost with low area (compact size), using ultra low power, and at extremely wide temperature ranges. All of this with the highest accuracy. It’s unique, miniature design makes it an ideal candidate for core circuits of IoT devices and other smart wearables. Sunil’s first product was the patented world’s most accurate temperature sensor that works at military grade ranges (‐55 ​0​ C to 125 ​0​ C).Having zeroed in on the potential of sensors and batteries as the key components of IoT devices, and consumer electronics, Sunil is not only working on sensors but BlueSemi’s USP is their ultra low power designs in advanced technology nodes such as the autonomous vehicle space. The aim is to provide the best accuracy with their unique sensor designs for driverless cars. They have also proven prototypes of multi energy harvesters where external sources of energy like WiFi, Temperature, and ambient light are captured and stored for low-powered wearables and IoT devices.